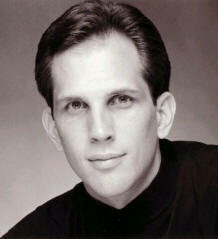 Michael Mayer possesses a great talent for singing and for teaching with a discerning diagnostic ear. His vocal and teaching talent is exceptional and he has a great understanding of Old World teaching. I am a singer in the Los Angeles area. I have studied with the cream of the crop in this city since I was a teenager. Sadly, after spending vast amounts of money throughout those years on lessons, my main issue remained unabated. Finding Michael was a miracle for me. In just a handful of lessons, ON SKYPE!, I was using my voice with more confidence and freedom than I ever have. Michael’s teachings are by far the most effective experience I have had of voice instruction. He is deeply intuitive and has an ear that can only be described as a gift. He can hear and diagnose a problem with lightening speed, even over SKYPE, thousands of miles away. He is 100% present and his teachings reach multiple levels of, not just the act of singing, but also of being. This is an important aspect of singing that has never been addressed in my experience. Michael has enormous depth of knowledge of the art of singing and the instrument itself. His special gift is that he is able to convey his knowledge in understandable, applicable concepts that truly transform the experience of singing into a joyous act. Michael also knows intuitively how and when to lead the student out of the world of the mind/learning and into the world of instinctual singing, being, and trusting the body to do what it knows how to do by its very nature. These teachings are beautiful and generous and deeply inspiring. The generosity Michael shows in each and every teaching time is astounding. With one simple question, you will find yourself blown away with transformational information. Get your tape recorder ready because you will want to write down every word! Hello, I’d like to congratulate and thank you for the podcasts you’ve just started uploading on your site, it’s a great idea! It is so helpful when somebody is making a video and can actually show certain things. When I can watch you the message is much more accurate because I see you demonstrating what the words you’re using really mean. Probably you’re quite used to it now but this way of teaching is really rare! It is as if the mental picture, imagining singing is becoming more complete so it feels like I’m almost starting to sing better just because of listening to you because I imagine it differently now, it’s so funny. So thanks again and I hope you carry on with the podcasts! I am a Soprano based in London. I have been singing professionally for several years, but am at the start of my career as a soloist with “A” level companies, and have recently made my debut with the Royal Opera House, Covent Garden. Despite a high level of practical training, I was experiencing anxiety when faced with performing in large theatres. The competition is ferocious and I had mainly been relying on instinct to get me through. I knew that a complete, watertight understanding of technique would help me to feel more secure in high-pressure environments. I was looking for somebody who would discreetly take the time with me to fill the gaps in my knowledge, so that I would understand exactly what works under pressure, without fail. 2) He is humble and unassuming, which astonishes me, given the level of his teaching skill. He avoids any sort of “superior teaching attitude” and just delivers truth and fact that will work. 3) It is not enough for a teacher to have correct knowledge and a pleasant personality. Michael also communicates with precision and clarity. 4) He is generous to a fault with his time and resources. He doesn’t watch the clock and will stay with you in a session until you fully grasp what he is speaking about. 5) His vocal knowledge, while derived from scientific fact, is absolutely proven in the field of practical, high-level performance. Michael has a direct pedagogical link to Jussi Björling, widely acknowledged as having the most effective and expressive technique ever to grace an operatic stage. 6) Michael appreciates and understands people, and performers in particular. He has considerable experience onstage and amongst other theatre people in general. He has researched as a scientist does, but he speaks like an artist. His top priority is to teach you that the science serves the artistic expression. This alone has enabled me to conquer a huge amount of stage fright. Performing should not ever be seen as a technical test, but this was how it was starting to feel for me when my priorities were skewed. 7) Location is no barrier because Michael works as well over Skype as he does in person. 8) He will answer as many specific questions as you can manage to throw at him. He’ll never gloss over them and just expect you to see things his way without giving you a solid justification. And he never makes you feel stupid for asking a question. 9) He doesn’t only teach opera singers. You can work with him in any vocal style you prefer. He can even train actors in speech. He will teach a beginning student as happily as a professional one. The basis of his technique is pure, anatomical fact and not an image or style-related concept. 10) Sessions with Michael are enjoyable and fun, and I think this is just how singing lessons are supposed to be. I’ve been singing, with intentions of having a professional career, for about 14 years now. When I began, I was in college, with no real singing prior to this. Since I have a dramatic voice, it took time for it to mature. For the first 12 years, I studied with only one teacher, whom I revered as the “fount” of all vocal knowledge. I came to find out that she knew relatively little about how the voice worked. When she passed away, I was both freed and forced to seek out a new teacher, which meant that I had to study about the voice. I was delighted to find that there was a substantial amount of science to be had, and even this showed that there were some serious deficiencies in my “technique,” such as it was. Up to this point, many people enjoyed my singing, but this was due to natural abilities that were God given, rather than from acquired ability. The facts were these: after 10 years of study, I suffered from persistent vocal fatigue, and had virtually no understanding of how my voice worked. I sang with “brute force,” and I knew that, vocally speaking, I’d be dead in any operatic career. I had been on a plateau for several years, and was worried about how to proceed. Then I met Michael Mayer, first over the phone, and then over the Internet. Michael took the time – about 3 hours as I recall (no charge, by the way), answering the questions that had built up within me for 14 years – questions that were never really answered by my former teacher. His answers made complete sense to me from what I had been reading since my teacher’s death. Still, I was terrified to trust a new mentor, and to make matters worse, I could only study with him over the Internet since we lived about 1,000 miles apart. Many well-meaning friends/mentors strenuously advised me against studying over the Internet, but I trusted my informed instincts, and decided to give Michael a try. His explanations always made sense to me, so I proceeded, though with much anxiety. Many of his techniques/exercises would have been anathema to my former teacher, and in the beginning they grated against me constantly. I was very afraid that my voice would be damaged. After 30 days, my production was changing. In 60-90 days, I knew I was headed in the right direction. The voice now is not a mystery hidden from me, but a treasure to explore for the rest of my life. Vocal fatigue has diminished remarkably, and my range, especially “usable,” has increased dramatically. Most importantly, I am at peace while singing, and any fatigue that I feel is no longer a cause for panic, but simply an indication that I need to make some adjustments. Pieces with higher tessitura are so much easier that I frequently chuckle while singing at home. I am astonished at what I can do now. When we first spoke, Michael tried to tell me that major progress could be made in a matter of months. I did not believe him then; needless to say, I do now. Michael is a peerless vocal technician who truly cares about his students. His skill at detecting vocal imperfections over the Internet is just shy of being in person. Let me say that in another way – I would not hesitate AT ALL to study with Michael Mayer, even if the Internet was the only way this could be done. I’ve met him in person only once, and during that time we worked on jaw positioning, breathing and posture. During the majority of vocalizing, Michael was not looking at me anyways! His logic is inarguable – most of what is happening is out of sight, so the ears are the way to detect issues anyways. If the proof is in the pudding, then Michael is a phenomenal teacher to whom I give my wholehearted recommendation. Perhaps I was ready for this. Perhaps I was always ready but was enamored by my seeking ways, meandering all over, looking for answers. But this is brilliant. Did you come up with this elucidation? About USING the larynx, so it functions properly? Articulating it in this manner can liberate countless singers from the mires of laryngeal entanglement. Oh lord! Has anyone else laid it out bare like this? If not, then you deserve a seat among the demigods! OK, seriously, I rarely get passionate or excited for that matter, but this little gem, this nugget, its priceless…I am indebted. Well, that is the sign of someone who has understood something utterly, to state the obvious about it, what is real, simply and directly. I mean, what you are pointing out applies to everything in a way, all of our muscle groups – I don’t mean just for singing but in general – all of our faculties and resources. To USE it (or them). I am sorry, but it is sort of profound! Use the larynx dammit, that is what its there for! What I would say if I were to describe my work with Michael is, like The Beatles’ song, “We can work it out”. It is really amazing how open he is to all I bring to class, no matter if it is an Italian air, French mélodie or even a pop song I used to sing some years ago and now I feel I can sing. I have had lots of teachers throughout my professional life, like most singers who are desperately in search of someone who might guide him to explore and be in full command of his instrument. But mostly what happened was that I bumped into professionals who were not at all fortunate in their own career as performers and that were there to show off the potential of their voices, or teach me many vocalizes which purpose were never clear to me, often saying that my goal was to be able to sing the full tessitura of my range. In a nutshell, Michael has been guiding me so that I have ownership, practical knowledge and command of my instrument. But it takes one a really attentive approach, individual, together with patience and support. We can work it out, is what I hear between the lines. Sometimes I come to class tired, other times feeling like giving up – because we all know that singing is awfully demanding, as we must manage are ourselves, not an external instrument – and he is always there, focused, calm and wise about what I have to do to reach my daily targets. Each day I feel I know my instrument a little more and my I feel my voice is blossoming, gaining the individual colors and weighs solely mine. I can say I am really lucky to have found Michael, who is the vocal coach I had been searching for my whole professional life. Thank you, Michael. Just to let you know I will be the first in the queue to purchase your publications. Most of your web site is directed at Singers, but I think you have a lot to offer people who suffer with their speaking voice. You may recall I wrote to you privately regarding my sore speaking voice issue, I have since had my vocal cords checked out (which were fine), and was then referred to a professional speech therapist. I was diagnosed with MTD (Muscle Tension Dysphonia). I think this is a convenient label given by the profession to describe a form of functional tension which is not fully understood. I was given various exercises like blowing through a straw, circum- larynx manipulation and even suggested there may be a psychological component involved! None of these things helped, again the general approach was an over preoccupation with breath. Although we have not met in person it is through reading your web site that I have discovered things that are really helpful. I am now in a better place with the voice and have even started to sing a little. I’m convinced you have a lot to offer people who suffer with functional dysphonia. It’s my belief that profound knowledge in relation to voice use can only come from someone who sings; this must be a huge advantage over conventional therapists. Incidentally I think my own problems have arisen from my habitual head & neck relationship, I had a tendency to pull the head back slightly when speaking, as if reaching. This position also prevented a natural in breath. Although things are still a “work in progress” I’m in a much better place. Michael Mayer is a gifted technician of the voice. When teaching, he is not only an astute listener to every sound and nuance, but also takes great care to describe simply where you are at and where you want to go, creating that necessary structural stability leading to great results. I am learning a great deal from Michael and am singing better than ever. I look forward to my singing blossoming even further! For as long as I can remember, I have always loved to sing. I began singing around the house at the age of five and continued to sing pop ballads, jazz, and choral pieces throughout my high school and early collegiate years. However, I was skating by purely on my own talent and had no concept of technique. I began developing an interest in opera by the time I entered university and began listening to every opera singer I could. Consequently, I began searching for teachers. The first teacher encouraged me to sing with more chest voice. Although I felt I was a lighter/brighter voice, he encouraged me to sing darker and heavier. Other teachers followed who gave me vague instructions on how to place the sound forward, backward, and every way imaginable. Suffice it to say that when I was not making any progress, they classified me as a lyric soprano and encouraged me to use a richer sound. This created some rather nasty habits–tongue tension, jaw tension, and a total lack of appoggio. The final straw came when I had to mouth the majority of the words during a choir concert due to vocal fatigue. I began to truly dread singing. It was no longer joyful and innate; it became something of a chore and a test of nerves. Furthermore, singing had become slightly painful and very, very tense. I’d read David Jones’s articles and was intrigued by the Swedish/Italian method. Through a Google search on breathing and the Swedish/Italian school, I found Michael’s blog, and the rest is history. I’ve been studying with Michael for only a short while. In the course of these three lessons I’ve taken thus far, I have gained immense vocal freedom and have enjoyed singing again. I have come to realize that singing is truly a reflexive act, not mechanical and rigid. Michael is honestly the best teacher I have studied with. His instructions are concise, clear, and direct. There are no guessing games which leave the student confused or frustrated. Further, he possesses an excellent ear and diagnoses vocal issues accurately, giving the student immediate ways of remedying the imbalance. As a young student who has been through the university music program and seen the vocal training present in academia, I would wholeheartedly recommend Michael to any aspiring singer, professional or otherwise. Your explanations are very clear and easy to understand, and that is very refreshing. Some teachers make singing sound like a hermetic art not easily accessible to everyone. Your view of the voice as a natural function makes it seems less scary. I think it is very very helpful that you relate breath compression with other bodily functions, like sneezing or coughing – tasks that are simple to accomplish. In traditional training, we do these breath exercises and we’re not really sure what they are meant for and, more importantly, if we’re supposed to do the same thing while singing. The sustained “s” was always a source of confusion for me, because it was the first exercise I learned, and because no one ever explained to me what was the point of the exercise, from the start I was left with the impression that singing was just having an even and constant flow of air. I suspect this might be the case with many other students too. Also, early on in my training, because of how my first teacher demonstrated this exercise, I was under the impression that we needed a huge amount of air to sing. But very soon I discovered that when we push an enormous amount of air out the sound is “forced”, the throat starts to hurt, and you’re not able to sing very well. Come to think of it, since this teacher was a tall mature man, and a bass-baritone, I assume he could withstand this “pushing” much more than a short 17 year-old, haha. I have heard different concepts about resonance. Some teachers say the voice needs to be “forward” (“imagine a line going straight to the other wall”, things like that), but, like you explained, that is the description of a result. I have “tried” to get the voice forward, and the sound was always plain, weak, and flat, so that has never helped me, at all. One teacher also had come up with the concept of “vocal turn” (“giro vocálico”, it’s hard to translate that into English), meaning that the sound should resonate in the open spaces of the skull, and the vowels needed to be “vertical”. She also emphasized the importance of facial posture. Sure, but then she had me vocalizing in “i”, “o-i” or “i-a”, whatever, which also did not help me (like I said, the sound was either “buried” or “spread”). I was always told to “raise” the soft palate, and that was the most dangerous for me, because, if I have air coming out and raise the soft palate, the voice automatically gets breathy. The things you’ve demonstrated, I think, could be very helpful to people in the same situation. There are questions we sometimes want to ask, but don’t, because they’re just too embarrassing. “How come she sounds so much louder than me?” or “Why does my voice sound so weak?”. These questions sound kind of childish, but it’s not just the illusion of looking for the “big sound” (which I assume leads to a different kind of vocal trap). From my experience this matter is never addressed directly. I’ve had the courage to ask similar questions, out of sheer frustration, and had a lot of different answers, things like “Oh, don’t worry, your voice will be fuller as you get older” or “Each voice is different from the other, lighter voices have different qualities, etc, etc”. Then there are the mean ones that just say “You’re sound is not going to evolve, so you should just quit”. I guess that figuring out your voice is a process that takes time, and I know that “classical” voices don’t mature until later, but I think the things the singer him/herself experiences should be taken into consideration. Like me, for instance. Doesn’t the fact that I had recorded evidence that my voice doesn’t carry in a big room, not even in a small distance, count for something? Not according to some teachers. I should just “wait” until the problem is magically solved as I get older and the so-called “spot” is just going to “pop out” in my face. Either that or this horrible flat tone is the only result I can ever have. I suspect that some students are categorized into a voice type without suspecting that they sound this or that way because of some misconception, or because they are deliberately trying to sound like “this” or “that” voice type. From your explanation, I can finally hope that there is a way around it, that I can have a “normal” voice that people can actually hear, and learn how to use it. Michael is a great teacher. His methods are based on a vast understanding of how the body works as well as what it takes to use the body to sing properly. He is logical and scientific in his approach and is able to clearly articulate what is going on and help the student understand what needs to be done to achieve the desired results. His ear is well-educated and so finely tuned he can detect subtle differences in sound and technique even from a poor mic over a Skype connection. His experience is of a great value as it leads to faster, more noticeable results and quick diagnosis of problems. He is also very patient and does not stop reminding you of things that need to be done over and over that are not second nature to you yet. Even if he’s tired of telling you, you are not made aware of this or made to feel bad in any way. Whatever is within his power and is necessary for you to sing properly, he does. It’s also very clear he has your vocal health in mind and will not have you doing things that would harm your voice, set you back in your progress or do not feel right. Michael is a pleasure to work with. To Michael, I thank you dearly for sharing your wisdom and energy in our vocal lessons together. You have taught me more than how to produce good tone or how to use my voice safely. You have made me realize that voice is a natural expression of life energy, and most importantly it is an expression of human feelings. Art cannot be taught, but you have pointed the way and wisely you’ve pointed to the heart. As a result, I am in touch with the artist within me, and I sing from my heart. So thank you. To aspiring singers, The voice is our instrument. That is in essence what we play, and we must play it well and safely. But this instrument is also living and can get hurt, can fatigue, can be overused and misused. Like a pianist who practices daily, we need to do that and more. We have to understand the voice, connect with it, become friends with it, and take care of it. With Michael I have explored new territories with regards to where my voice can go. And I know there is much more to come. His use of images and science to explain function is phenomenal. As a voice teacher, he gives his unwavering attention, energy, and information during a session. He remembers where you are at vocally, what you’ve accomplished, and what you are struggling with. He not only tells you what you need to do and how to do it, but also why you need to do it. You are then inspired to sing. Like few great teachers, he makes sure you know you did it all by yourself. If you are overwhelmed by and tired of the infinite opinions on singing and the endless claims to good singing, this site is a step away from the beautiful and healthy voice that you’re looking for. You will enjoy the peace of mind that comes with taking vocal lessons with Michael. As a music teacher myself, I can honestly say that Michael Mayer is what one would call a “master” teacher. Michael knows the vocal apparatus extremely well, and easily communicates the correct usage of the voice for singers. He hears and can diagnose problems immediately, correcting even slight nuances in the voice, online as easily as in person. Unlike most voice teachers, lessons with Michael do not consist of seemingly aimless (and unexplained) vocalizing followed by a song or two. From the first lesson, Michael teaches the singer to develop familiarity with the correct physical feelings and sound. Utilizing the Swedish-Italian method of singing, Michael assists a singer in learning to protect the voice, and it becomes clear that the vocalist will emerge with a definite technique and skill. Singing no longer is a game of chance, luck, or percentage of talent; it is a reflex. I heartily recommend Michael as a teacher and also as a very kind and generous person. Thank you to Michael for introducing both my mother and myself to the Swedish-Italian school of singing! It has made such a difference in my singing. He has shown me how there is a real method to using my voice. It is astounding to learn to feel the vocal cords working close together, and to know the difference between that and flow phonation. As a teenager involved in drama and musical theatre, Michael has made it possible for me to use my voice in healthy ways, no matter what directors are telling me to do! I’m looking forward to having a voice for life. Thank you, Michael. Working with Michael Mayer was inspiring for both myself and my students. His instruction was motivating and thought provoking. My men continue to talk about his ideas and have been sharing them with the rest of the choir. He really connected with my students answering their questions about their voices. I look forward to working with Michael in the future. Over a three year period, Michael Mayer, through his excellent pedagogical skills and patient work, provided me with vocal fundamentals from which I have benefited immensely. My voice is now able to do things which before I could only imagine doing. I have received comments from professional singers and musicians alike on how clear and ringing my voice has become. This technique is incredibly effective and will help anyone wanting to strengthen and perfect their vocal instrument! I became one of Michael Mayer’s voice students in July 2004 after many years of intermittent vocal problems. Initially persistent symptoms were misdiagnosed as pathology by my family doctor. He referred me to an Ear-Nose-Throat Specialist who claimed that my vocal cords were “extremely healthy”. Based on that observation I assumed that the vocal technique I had learned was correct, and I continued with it for several years. Symptoms persisted such as chronic sore throat with a painful rawness in my soft palate and pharynx. Sometimes even speaking was very uncomfortable. In November 2004, I requested a referral to another Ear-Nose-Throat Specialist. Again my vocal cords were diagnosed as “very healthy”. He thought perhaps I suffered from a type of oral syndrome and referred me to an Oral Specialist. The Oral Specialist said that I had no oral syndrome and prescribed an oral steroid spray to relieve my pain. However, after reading of the side-effects of steroids, particularly on the vocal cords, I began to search for options through other professionals and my own research. I then contacted a speech therapist who was not accepting new patients and so referred me to a very reputable Ear-Noise-Throat Specialist. Because her first available appointment was four months away, I sought out another speech therapist who gave me some pointers, but offered no explanation of the anatomy of the voice. Because her kind remark did not address my symptoms, I asked for a referral to a voice specialist. It was through that link that I met Michael Mayer. In the first two months of lessons with Michael, I sang without any discomfort at all. In the last year, my voice has become freer and I am able to sing more than ever before. Rarely, do I experience any of my past symptoms. Michael has a gift and passion for teaching voice. He listens patiently and intuitively to an individual’s vocal strengths and weaknesses, analyzing areas for development or correction. He shares his in-depth knowledge eloquently and sincerely. Every lesson with Michael is a positive learning experience. His approach proves to be more effective than any other voice professional’s, including medical, that I’ve encountered. I would recommend his expertise to anyone at any level of vocal development. 8/25/2005 – I had been singing for over twenty years, Oratorios, Cantatas, the occasional wedding, then I suddenly stopped. Reason being I had a good voice but it wasn’t getting me places. I had “Voice Teachers” but they didn’t do anything for my voice. In December 2003 I was asked to sing at an Easter program at the Bronx Baptist Church so I frantically began searching for a good voice teacher. That’s when David Jones at Voiceteacher.com recommended Michael Mayer as one of the best teachers he knew. Well, today I am still singing, my technique has improved and my sound is so much richer than it ever has been: Michael taught me how to sing efficiently and effortlessly. By that I mean not straining to reach high notes and breathing effectively. Michael taught me concepts and technique based on the concepts of William Vennard. To me Michael was a vocal coach and voice teacher combined. His patience and generosity in sharing his knowledge, in my book, makes him the best vocal teacher I ever had. Unfortunately for me Michael moved back to Minnesota where I am sure he’ll have a similar impact on those wishing to improve their quality of singing. You are a Mensch. I always notice how you patiently explain the complexities of method; and you even try, as much as possible, always to connect the method with the physiology… I appreciate so much what you do. I know, too, by first-hand experience, how many out there who are still using just the yawn and the confusing directions of “more support” and “place it in the mask” etc. I like to listen to some of your lessons just to help me keep on singing a little, here and there, and feeling good, renewed and balanced, along the way. Thanks so much. What’s amazing is reading through your site along with reading vocal wisdom help me the most in all the years I’ve had training. I’m finally able to sing to my mid Voice without thinking or struggling. You really have something that works here! Stop trying to put words on the “right” way to sing and start taking voice lessons with Michael! Your articles hit the mark square on and I already trust you from what I have read. It’s like picking up a new book, freshly written by Manuel Garcia or Lamperti – so very clear, concise and direct. This is brilliantly articulated. I am sure there are many singers who could have been saved a lot of struggle by reading this. I was really impressed by your blog posts and by your amazing understanding of vocal technique and great way to communicate it effectively…Keep working this way, the opera world needs people with your talent!! And it would also need better discerning ears! I have never heard it put more accurately or succinctly. Bravo! I’m sure some teachers would have you burned at the stake for such “heresy”! Thanks for giving me the “lightbulb moment” on breathing. If you had not helped me to learn a more precise method of phonation, I’d be dying right about now. By you having invested so much of your life into getting a clear understanding of what works, vocally, and being able to explain it so beautifully, you’re giving your clients tools to cope with doing our jobs well when we feel tired and awful. I am not at your level of understanding, but it’s really good, secure feeling to be able to walk out and start trusting that if you do specific things, the results will be there. Takes the guess work out. Amazing posts Michael. From a singer who worked as a professional opera and musical theatre singer, I can’t thank you enough for conveying a message of such importance that actually makes sense. I became so frustrated in my career and vocal challenges that I eventually walked away from it all. Had I but found this sooner! Thank you for re-inspiring me again.